Studying the Bible does not have to be boring. Inspiring teachers in DBS make the Bible come alive. In this environment intensive study becomes interactive, exciting and extremely beneficial for the lives of every participant! The Apostle Paul said: “All scripture is inspired by God, and is useful to teach us what is true and to make us realize what is wrong in our lives. It corrects us when we are wrong and teaches us to do what is right. God uses it to prepare and equip his people to do every good work.” (2 Timothy 3:16– 17 NLT). During the Discipleship Bible School, you will be reading through all 66 books of God’s Word, and gaining an overall perspective of God’s story. You will learn techniques for effective Bible study, and a series of international guest speakers will help unlock the Bible’s fascinating content. The DBS will also be engaging with God in times of worship and intercession. In addition, there will be an exciting opportunity to put learning into practice on an outreach, taking God’s Word to local communities and out to the nations! YWAM Solomon Islands has been given a unique God given opportunity to pioneer and deliver a Discipleship Bible School (DBS) in the centre of a very poor squatter community. With the assistance of quality teachers from YWAM Kona, the DBS will be held at our very own UofN Campus on the outskirts of the capital Honiara. Escape the snow and ice of colder regions to come on a spiritual adventure to the tropical paradise of the Solomons, not only for the warmer climate, but also to experience an authentic cross-cultural interface with Melanesians in the poorest nation in the Pacific. Solomon Islands, like many Pacific nations, has an entrenched cultural form of Christianity, which has sadly adopted much error. 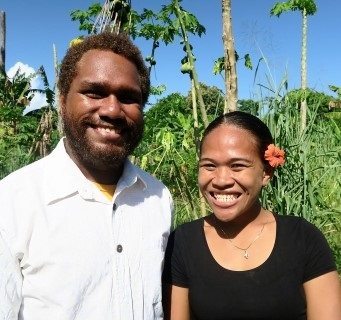 With the DBS and an optional Outreach in Solomon Islands, we want to encourage the local people to study the Bible and help them to understand the truth of the Word of God. Together with them you can be part of this journey. Bobby Mao has completed a DBS in Samoa and has been co-leading the 2017 DBS here in the Solomon Islands. He is bringing a lot of leadership experience from serving many years with YWAM Samoa. Mark and Mary with their four children have been serving with YWAM in the Pacific for many years. They helped pioneer a YWAM Base in Vanuatu, and more recently they have worked tirelessly to establish UofN in the Solomon Islands. We are excited to launch Solomon Islands second DBS in July 2018.